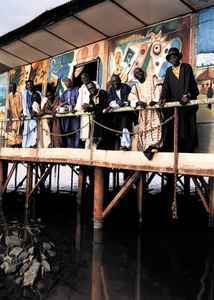 Senegalese Afro-Cuban, "Son" and "Pachanga" band formed in 1970 as a multi-ethnic, multi-national club band they adapted the then current craze for Cuban Music (growing out of the Congolese Soukous style) in West Africa to Wolof Griot culture and the Mandinga musical traditions of the Casamance. They broke up in the 1980s and reformed in 2001 after interest in their recordings grew in Europe. Members: Ndiouga Dieng, Balla Sidibe, Rudy Gomis, Latfi Ben Geloune, Barthélemy Attisso & Issa Cissoko.